Lapland is a region of northern Finland. Much of it lies above the Arctic Circle. It's a land of dense forests, thousands of lakes, and endless winters. Lapland may present the ultimate winter landscape, and for this reason it is closely associated with Christmas. 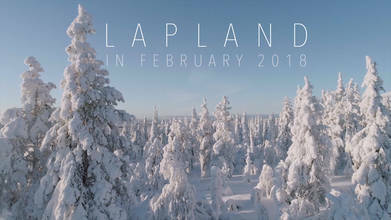 Top contributor Timoksaken, who has some of the best drone videos of Finland to be found anywhere, created this stunning aerial picture of Lapland's Kolari and Muonio in the heart of winter. .